Meets on the 1st and 3rd Tuesdays of every month at 7 p.m., unless otherwise announced. March 9, 2017 Org. Mtg. 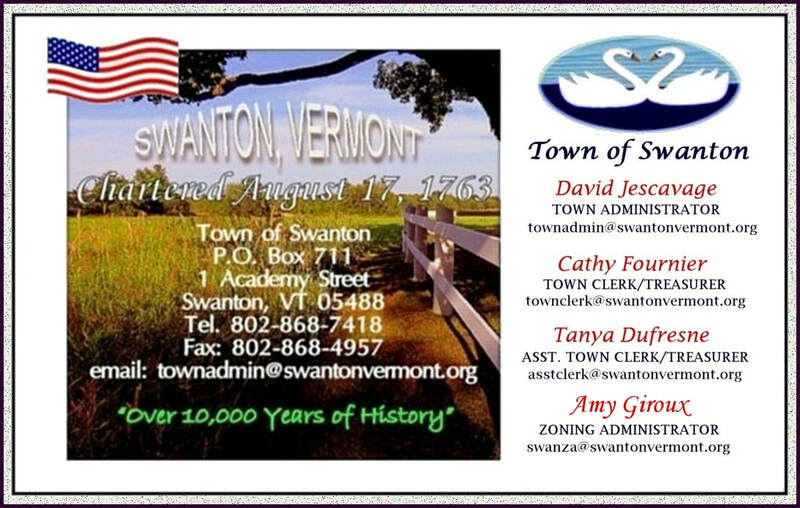 Swanton Selectboard and the Swanton Village Trustees meet as needed.